Every single day of my life I'm having a ball … and today, on account of being IBO Member of the Day, I'm having two! And boy do I need them. Success in the jungle of life sure doesn't come easy, it's tough. It takes bust-a-gut courage and perseverance. Were being silverback of the troop easy then every chimp and bonobo would achieve it. But life can't be all crashing through the jungle and chest beating, so I'm enjoying a well-earned relax after another hard day! I'm also contemplating how I came by this award? Here in the bamboo Congo forests with no broadband I can't be considered an internet marketer, no way. I don't participate in affiliate schemes, nor click endlessly on adverts, nor employ the latest autoresponder to harvest addresses and spew out emails. My purpose here is to mate (a frequent and tedious chore :-), forage and protect the troop … oh! and to promote my real-life businesses. Wake Up Leisure and Learning Breaks : Motivation themed holidays in which I school visitors on how to prosper in life's leafy forests and become Silverback of the Troop. Mastering the Art Of Making Money : My Amazon best-seller is 250 dynamite pages with precise details of how I earned a fortune in bamboo shoot trading and became a Super Silverback. 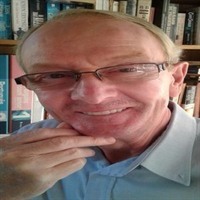 Freelance Writer : I write Business Plans, Publicity Copy, Web Scripts, Articles, Short Stories, Humour and Blogs such as you'll find on these pages. Plus, of course, Motivational and Wealth Creation guidance material ... not to mention jungle survival guides! That then is my perhaps less than conventional formula for gaining exposure for myself - see photo! - and for my work and, apparently, recognition from IBO! But hey! If a gorilla can do it, anyone can! I am a gorilla ... but I took a break to the sunny south of Portugal to write this! HAVING A BALL is an original copyright Tom Riach press release, short and to the point. I hope you enjoyed reading about “Having a Ball” and found it entertaining. To learn more or to get in touch with me please visit me on my website at WAKE UP 2 WEALTH.